A study conducted by the United States Department of Transportation states that as many as 1,652 lives could be saved and 22,372 serious injuries could be prevented each year if seatbelts were used more frequently. 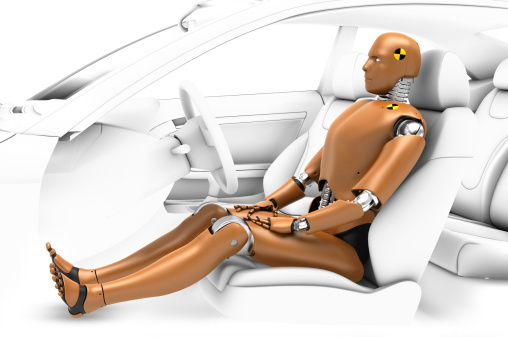 Additional safety features on a car, like a stronger rollover cage, could also significantly decrease the amount of deaths and serious injuries sustained each year. This crash tests one of the most potentially fatal impact spots: the front-end driver’s side. The ratings are based on how well the structure of the car holds up under such an impact at 40 mph. Each car has a rating of Good, Acceptable, Marginal or Poor. The National Highway Traffic and Safety Administration also assigns ratings to cars based on how the structure and safety features of the vehicle work to keep drivers and passengers safe during a head-on or side-impact scenario. Scores are based on weight of the car and are comparable to cars of similar weight. Some of the most deadly accident situations occur when a car rolls over. Resistance to rollover means that the car did not tip up during crash testing, meaning that their center of gravity keeps them grounded easier. You can also check the placement of air bags, the seat belt strength or whether or not the car has an antilock braking system. These factors all make an impact on your safety, should you ever be involved in an accident. If you’ve found the perfect car that meets your safety needs and budget, congratulations! Bring your documentation into MVD Express for a temporary license tag, to transfer your title or to register your car. We will get you in and out in no time at all! See you soon.